This post will be linked to the DFHack script collection thread. ReadMe files have been included in the package. Edit: If I understand it correctly, this would cover the entire surface with little eploxsions of good-thought inducing mist, regardless of where the creature that is targetted with the unit-id is actually standing. The radius 500 essentially covers everything, but since you said its only on the surface, it would simulate a map-wide rain, correct? Edit2: Couldnt get the storm example to work, I get a error message. The eruption on the other hand worked fine. It had some.... interesting results. But... damn... magma landmines. ice landmines. Glorious inventions of dwarvenkind. Edit3: Turned out the 500 for the storm was a bit out of bounds. It works. I tried miasma rain and mist rain. Both very nice to have for good/evil regions. This makes me so happy. Finally custom rain. Darn, I was hoping that using the fov plugin to determine radius would account for map edges. I have a different version that doesn't use the fov plugin but its several more lines of code, I will change all scripts accordingly so that edge of map doesn't give errors. As for the eruption, I had mixed results about water moving and falling using it at different times. I am not sure if the game has a set time it reupdates things like that, or if there are other flags I need to set. I will look into it. 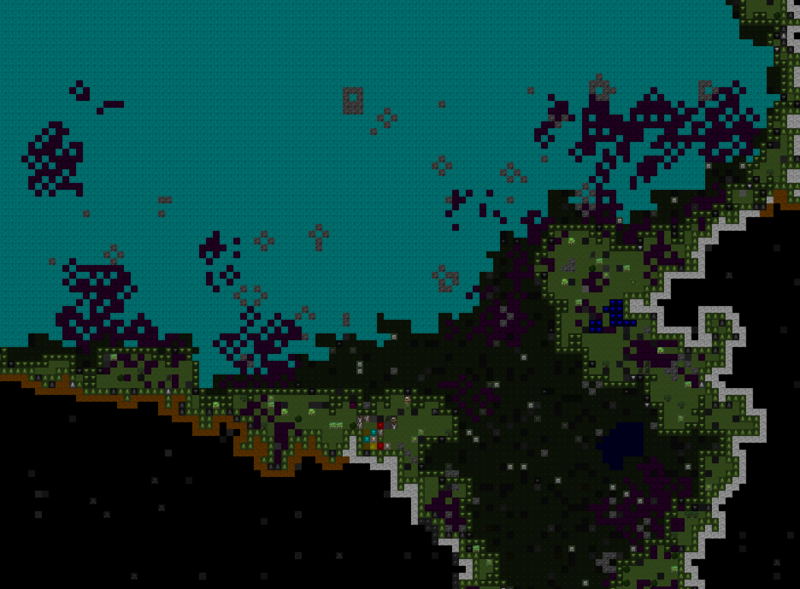 I could also probably make it so the liquids only get spawned on tiles that are dug out. Well, the water hung in the air for some time, then froze. What I can tell you is that its only spawned on one z level, even if I set the height to 10. I had some skeletons that constantly spammed magma eruptions, but its was always just on ground level. Not that horribly important, but something isnt quite right. It still works from a gameplay perspective of course, it does spawn the eruption. Just only on one level. Could you change the storm to be map-wide by default, without the unit-id and radius? Its weird to add an interaction to a creature far away from the surface, if all you want is some different weather. Currently the eruption is always only on one level, the height is the depth of the liquid at the center. 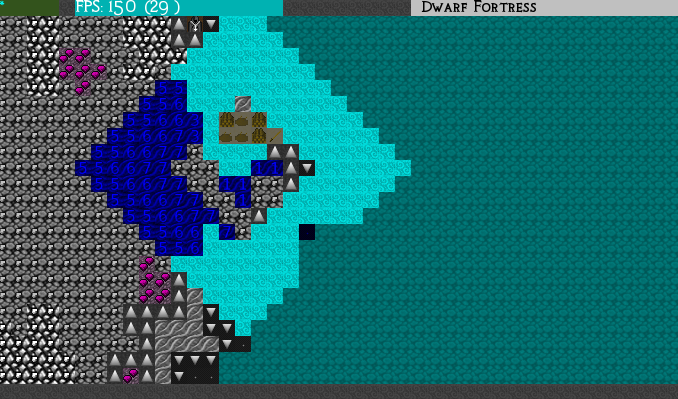 I can change it to allow spawning the liquid on multiple z-levels. I'm not sure how the game handles spawning liquid in mid-air. Guess I will have to do some testing. A coloumn of magma could be pretty fun. Yeah I can make a separate storm for map wide effects that don't need a unit-id. Oh, I understand. So height is 1-7 for a max of 7/7 liquid. I somehow thought that a height of 10 would spawn a 10-tile high tower of the liquid. No worries then, I just understood it wrong. Edit: Tested web rains. Works as well, the webs remain. They have no real name, as webs take the material from the webber creature, but its using inorganics. the webs are just called " thread". Not sure if any specific tag in the inorganics can enable it. But they work just fine, even take the right color. You should be able to specify the material for the webs. Try adding [SYN_CLASS:IRON] at the end. I have to admit I didn't thoroughly test all of the possibilities. It does take on the material. It has the properties and color. Its just lacking the name. Like I said, its probably in the inorganic. The script works fine. It probably just lacks [STOCKPILE_THREAD_METAL] to be accepted by the AI. Addition - eruption.lua now has another parameter, height (renamed old height parameter depth). Height allows columns of liquid to be made. New Script - weather.lua (this one is for you Meph) Very similar to storm.lua except it affects the entire map and has a duration attached to it. Please let me know if you find any errors or if something doesn't appear to be working like it should (or if my descriptions could use some clarification). Thanks for the weather script. I will give it a test run today. You might want to change the name, because there is already the weather plugin for rain, snow and sunshine. Edit:Tested the weather. I called it syndromeweather and rained some dragonfire. Works fine. I've got another set of edits that I have lined up (mostly just allowing a -1 for radius to target a single unit instead of a whole tile). Before I commit the changes though, is there anything else anyone would like to see done? Damn that will accelerate my mod development a lot, thank you! Build workshop A. Run reaction "Open blue portal". Uses \LOCATION to give location1 to script. Build workshop B. Run reaction "Open orange portal". Uses \LOCATION to give location2 to the script. Reaction in each: Activate portal. All items/creatures on location1 are teleported to location2. I planned to do this : Build 2 colored portals, a reaction from those send the unit to another portal of the same color. A second reaction send all items and pets in a radius of 3 to the other portal. The only limitation of this system is that someone must build the destination in the first place. That would be amazing. I think I suggested that over a year ago, now and then reminding people that this suggestion exists.